Vinnie Favorito is performing at the Flamingo Hotel and Casino, Las Vegas. This Italian Stallion will crack You up, just be thick skinned if You are the blunt of the joke. Vinnie is famous for performing roast for Celebrities, that’s the type of humor He brings to the stage at the Flamingo. This show allows You to make a night of it all in one spot. The Flamingo has plenty to offer for dining and drinking. X Burlesque University tickets at the best price! X Burlesque University is showing at the Flamingo Hotel and Casino, Las Vegas. There are a few shows that are very similar to this one, they all have lasted years in Las Vegas and usually that speaks for itself. X burlesque University is a school that teaches You to act like a Diva, learn the moves from a professional burlesque dancer. use Your skills on whoever You want but they are sure to be happy You did. The class last 75 minutes so You are sure to learn all You need to know about burlesque. You can frame the diploma and hang it on Your wall when You return home for good conversation. You might even teach Your friends too. Legends in Concert, save on tickets! December 2 – 30 this show will include Christmas and Holiday hits! 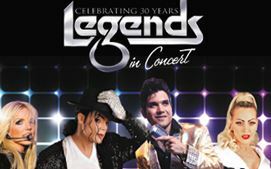 Legends in Concert is showing at the Flamingo, Las Vegas. The show is a cast of impersonators that are carbon copies of the celebrity they are suppose to be. The look, the sound, the mannerisms are all perfect. Sometimes these very talented impersonators are so good that they are actually better than the real celebrity. Once they study the celebrity in his/her best form, that is the form they take on. If You want to see Cher, Tina Turner, Mick Jagger and Rod Stewart, Tim McGraw, Faith Hill, Celine Dion, Barry White, the Blues Brothers, Liberace and Whitney Houston sound like they did when they were at there best, then come see this show. They do not even lip sync, something You have never seen from the real Cher.